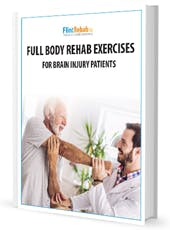 Cognitive exercises are a great way to improve and preserve cognitive function after TBI. In this article, we are going to cover some of the best cognitive exercises for TBI you can do at home to sharpen your mental skills. Just like how your body needs exercise to stay healthy, your brain needs to stay active in order to preserve function and prevent decay. Stimulating your brain through activity causes more neurons to fire, which helps keep your brain operating properly. After a TBI, it is especially important to exercise your brain so that you can engage neuroplasticity, which is your brain’s natural ability to rewire itself. But how do you exercise your brain? You can do so through using several different cognitive exercises which challenge your brain to think in unique ways, causing it to create new neural pathways. These new pathways will help you strengthen many cognitive skills, such as memory and recall and even regain some skills you may have lost (like speaking after brain injury)! There are many brain training apps and other programs online that advertise themselves as a way to improve memory. However, the research is unclear about whether or not brain training apps offer very many real-world benefits for people with TBI. Instead, most scientists say the best cognitive exercises are ones that involve some sort of common daily activity and have a lot of practical application. Also, exercises that make you perform routine actions in a unique way are very effective, because they engage different parts of your brain that are normally unused. With that, here are some great cognitive exercises that you can easily do at home that will help you in your TBI recovery. If possible, try to use your non-dominant hand during daily activities every once in a while. For example, brush your hair with your left hand instead of your right hand one day a week. This not only engages a different side of your brain, it also stimulates your neurons to fire in a new way, which strengthens brain function. You can even try learning a musical instrument, which has extra benefits for TBI recovery. This may sound strange at first, but sitting outside and writing down all the sights, sounds and smells you are experiencing is a great cognitive exercise. It forces you to use parts of your brain that are not usually as active, and can help with improving attention and concentration. Plus, it’s a nice way to relax after a busy day! If you’re not able to write, you can also speak what you hear and see out loud. The key is just to pay close attention to your environment. Similar to the last exercise, this exercise helps you improve your concentration by identifying all the tastes you experience when eating. See if next time you eat something if you can notice all the different spices and herbs you taste. This is a great technique for improving your working memory. All you do is pick any 2-digit number, then add three to that number three times, then subtract seven from the final number. So, for example, if you start with 26, adding 3 gets you 29, then you add another 3 which equals 32, another 3 equals 35 etc…Then, you minus seven from that last number. This exercise is great because your brain must hold several details in mind at once. Practicing this will help you get better at processing and organizing information. Chess and other brain-stimulating games like Sudoku and crossword puzzles are great for activating the left side of your brain and improving your problem-solving skills. Crossword puzzles are especially helpful for developing word recall skills. If possible try to do a few of these cognitive exercises every day. The more you practice them, the stronger and healthier your brain will become! Newer Boost Your Recovery with This Healthy Brain Injury Diet!